Posted May 2, 2016 by The Rapid & filed under Rider Stories. The following is written by Mike Ewer, a Grand Rapids citizen and Rapid rider. While many people work Sundays to provide us with the services we have come to expect (including Rapid Bus Operators and support staff), there are also a number of reasons to enjoy free time on this day. 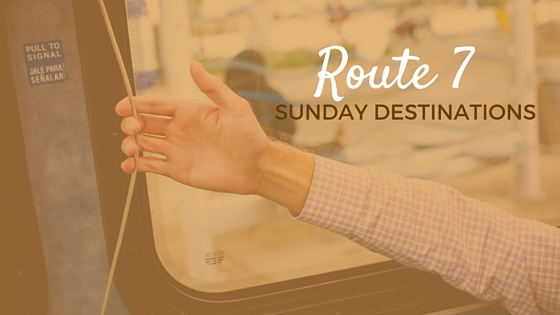 Now you can enjoy it more by using the new Route 7 Sunday service! For those looking to take advantage of this day of rest, here are some options to fill your calendar. This church was brought together in the industrial district on the west bank of the Grand River in 2014. St. Mary’s offers masses in English and Spanish on Sundays at the Gothic-style structure erected in 1873 for the German population of Grand Rapids. The church steeple is 200 feet tall. Other churches on Route 7: Seventh Reformed, West Leonard Christian, Westview Christian Reformed, Leonard Heights Baptist, Mount Olive Lutheran. Established in 1974, the Fish Ladder is a sculpture by Joseph Kinnebrew. It serves an environmental purpose, allowing fish in the Grand River to navigate around the Fourth Street Dam to complete their life cycle upstream. It was built with community support and participation in mind. Spectators of all ages can observe nature working around man’s obstructions. 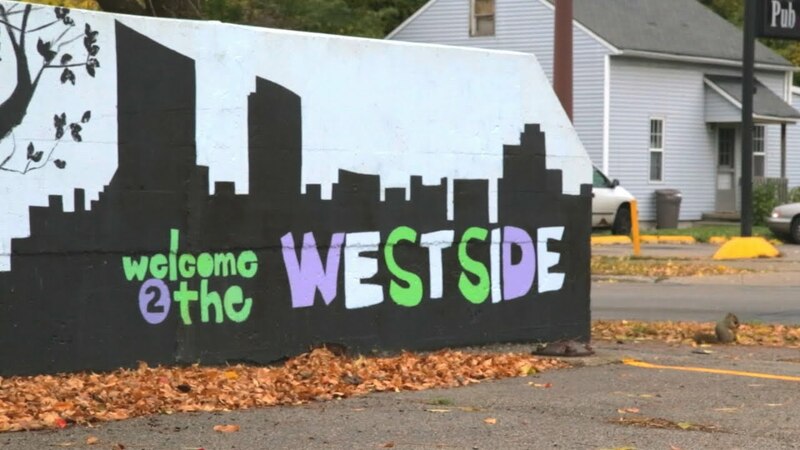 Cross the Sixth Street Bridge to two riverside parks in the North Monroe district that extend along the east bank of the Grand River from the US-196 Bridge to Leonard Street. Sixth Street Bridge: Built in 1886, this is the longest and oldest metal truss bridge in Michigan. It was renovated in 2012 to maintain this icon of the north side of downtown for years to come. Sixth Street Bridge Park: A small riverside park with pavilions, a sculpture and views of the Fourth Street Dam and Sixth Street Bridge. Canal Park: More a landscaped riverside footpath than a park, it includes a children’s playground and a number of viewing points along the river. Enjoy the newly remodeled Gerald R. Ford Museum, dedicated to GR’s most famous son. The Grand Rapids Public Museum is currently home to the fun Robot Zoo exhibit, and don’t forget to ride the carousel! The Downtown YMCA features indoor sports, water sports and free childcare for members while they work out. An institution on the Westside for over 75 years, Wengers has two floors of bowling lanes. A Westside institution, Sandy’s has some of the best yeast doughnuts in the city. The Mitten Brewing Company and Long Road Distillers occupy opposite corners on the north side of Leonard. Both locations feature locally produced drinks and some inspired food. This new upscale gastropub features crafty eats to match its beer, wine and cocktail selection. The 7 also offers an alternate route to Stockbridge businesses such as Harmony Hall, which is just a short walk to the west of here. A popular store for the local neighborhood, this independent supermarket has long opening hours seven days a week. Food assistance program payments are accepted. Ralph’s also has a lot of supplies for the Westside’s Polish ethnicity. A goldmine for anyone in need of Hispanic grocery supplies, and includes a bakery, butcher and a bill-payment counter. Mike Ewer has lived in West Michigan since 1999, and in Grand Rapids since 2008. The Ewer family started riding The Rapid as soon as they arrived in Grand Rapids, and has been carless since 2011. Living in the Harrison Park neighborhood since 2014, they are happy to have access to Sunday Route 7 service.